When you’re selling a property you want a sale to go through as quickly as possible and to get for the highest price. Spain is no exception. 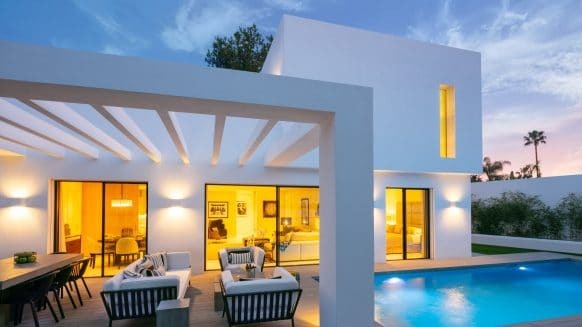 While you aren’t obliged to use an estate agency to sell your property in Spain, practicalities mean it’s often easier to get a professional to work for you especially if you don’t live in Spain. In this article, we look at how to choose the right agency to sell your property. Your first step will be to source an estate agency to take on the sale. 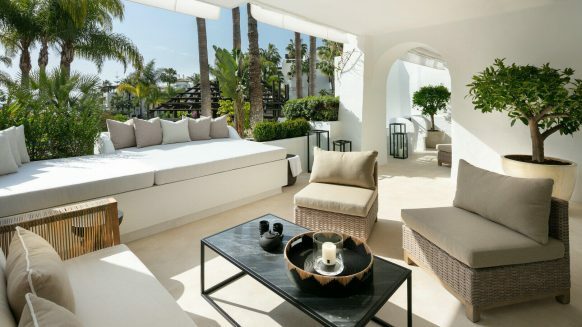 In most areas, particularly on the Costas and Islands, you’ll probably have plenty to choose from so the difficult part will be deciding which is the right one to sell your property in Spain. 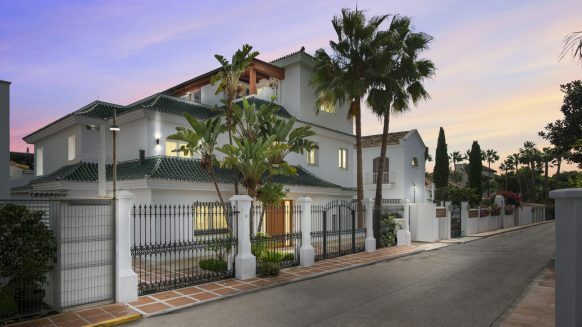 Although the property market on the Costa del Sol has improved in many respects, it’s still a buyer’s market in some areas. To increase the chances of a sale of your property you therefore need to place it in the right hands. Find agents selling property like yours – shop around and take a look at the type of property on sale. If the particular agent caters for or specialises in your property type, your chances of finding a buyer with that agent will be higher. Find local agents – take a look at properties on sale in your immediate area and find out who is the agent. Ask for recommendations – consult on online forums or ask around your local network for recommendations (or definite noes). Top tip – pose as a buyer and visit your chosen agencies to find out how helpful and how good their services are. Although it isn’t obligatory for estate agents in Spain to have formal qualifications, you should check their credentials to make sure they are an officially registered company with fiscal number. We also advice reading the ‘About Us’ section on the estate agent’s website which should inspire trust and confidence. And, of course google the agency’s name for more references. Top tip – if you don’t live in Spain you will need to give the agent a key to your property. In this case, checking credentials is even more important. Read more about the role of estate agents in Spain. Link to role of estate agents article. Once you’ve located candidates to sell your property in Spain, make a shortlist of three or four agencies. Ask each one to make a valuation of your home and to explain how they arrived at the figure. Although you’ll be looking for the best possible price, don’t go with the highest valuation unless it is justified with local market facts and figures. As a general rule, go with an average of all the valuations unless there’s huge discrepancy between them. In which case, it’s wise to ask for further valuations from other agencies. Top tip – look for an agency showing local knowledge. When they talk through the valuation, listen out for facts on the market in your area that justify the figure. Who will be doing the viewings? You or the estate agent? What marketing materials will the agency produce for your property? Will your property be marketed online? If so, where? Top tip – read the contract and agency terms and conditions very carefully and make sure you understand all the implications before you sign it. Estate agencies in Spain earn commission from the sale of a property – expect between 3% and 8% of the final purchase (sale) price. Make sure your chosen agent is fully transparent on the commission they will charge and be clear if the amount includes VAT (IVA in Spanish). If it doesn’t, bear in mind that the final bill will include 21% IVA. Top tip – you can deduct selling agent’s fees from your capital gains tax bill so make sure the estate agent provides an official proper invoice for their services including their fiscal address and number, and the amount for IVA. Find out more about capital gains tax when you sell property in Spain. Link to selling taxes. You can contract as many or as few estate agents to sell your Spanish property as you like. Single agent – advantages include the possibility of paying less commission and more dedication to your sale, particularly if it’s an agency specialising in a niche market or property type. On the other hand, your chosen agent may not be a success and a sole agency gives you little spread. Make sure the exclusivity contract expires in no more than six months after signing. This gives you the opportunity to find an alternative if a sale with the agency isn’t forthcoming. Multiple agents – benefits are wider-spread marketing for your property and the chance to reach more prospective buyers. However, commission will probably be no less than 5% and your property may go unnoticed in the long lists of homes on the market. If you choose to list with more than one agency, make sure the selling price is the same on all of them. Top tip – be clear about commission payments if you find a buyer for your property. It’s best to have a contract allowing you the possibility to sell privately with no commission due to the agent. Depending on the area of the Costa del Sol and the cost and desirability of your property, the sale will take more or less time. Make sure you receive regular updates from the estate agent including number of viewings, follow-up information and feedback. Top tip – if six months have gone by without a sale or firm offer, review the marketing, price and state of your property. You may need to change your agent, bring the price down or carry out some refurbishment or improvements. Find out more about marketing your property. Link to marketing your property article.